This book is an ethnographic account of the emergence of Hindu nationalism in a tribal (adivasi) community in Chhattisgarh, central India. It is argued that the successful spread of Hindu nationalism in this area is due to the involvement of the Rashtriya Swayamsevak Sangh (RSS), a militant Hindu nationalist organization, in local affairs. 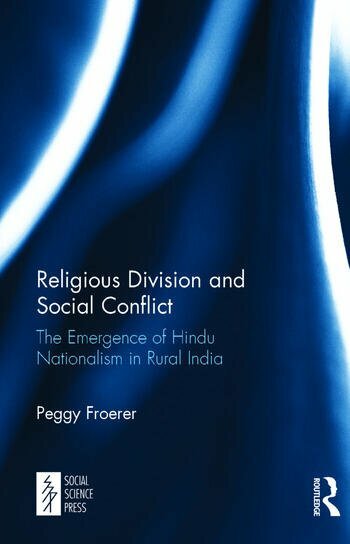 While active engagement in 'civilizing' strategies has enabled the RSS to legitimize its presence and endear itself to the local community, the book argues that participation in more aggressive strategies has made it possible for this organization to fuel and attach local tensions to a broader Hindu nationalist agenda. Peggy Froerer is Lecturer in Anthropology, School of Social Sciences, Brunel University, UK.